New technologies emerge every day, driving the workplace to innovate and adapt. One emerging technology is addressing how we physically approach tasks – the exoskeleton. Exoskeleton technology is looking to transform the current work environment by reducing worker fatigue, increasing productivity, and improving risk management efforts. This technology has application in both return-to-work and preventive efforts. Exoskeletons come in a variety of designs (such as passive or powered), each with a specific purpose. In the medical space, they have been used for rehabilitation purposes, and they have also made an appearance in the military space for the purpose of improved soldier performance. But this technology is just starting to be considered for industrial and commercial purposes. 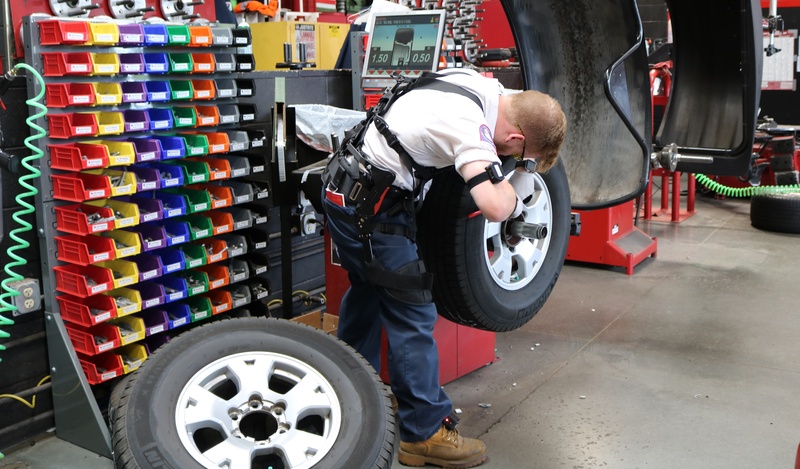 Exoskeletons can not only allow a worker to complete a task with less effort and thus less risk for injury, but some exoskeleton technology can provide workers with feedback to ensure safer behaviors. 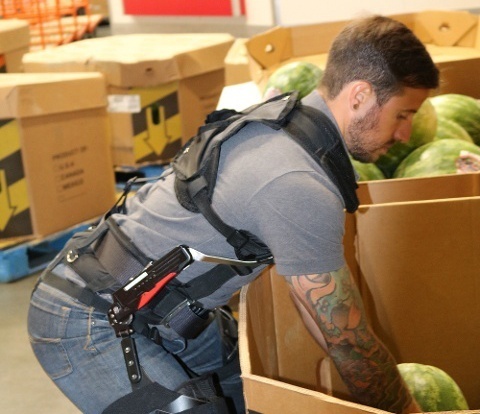 Marino uses the example of a vest-like ergoskeleton device made by StrongArm Technologies, Inc.
Another device that could help with injury prevention in the workplace is an exoskeleton that acts as a “chair-less chair, like the device made by noonee,” says Marino. Injury prevention isn’t the only benefit of exoskeleton technology, though. These devices also have potential for improving return-to-work programs and productivity. Take, for example, the AIRFRAME by Levitate Technologies, a shoulder support exoskeleton that holds up the weight of the arm. For a welder or painter—anyone that works with their arms at or above shoulder level for a large percentage of their work day—this device could allow them to work in an awkward position for a longer period of time with significantly less effort. Exoskeletons - How Much of an Impact Do They Make? Despite the clear potential of these devices, more research is needed to learn about this new technology. 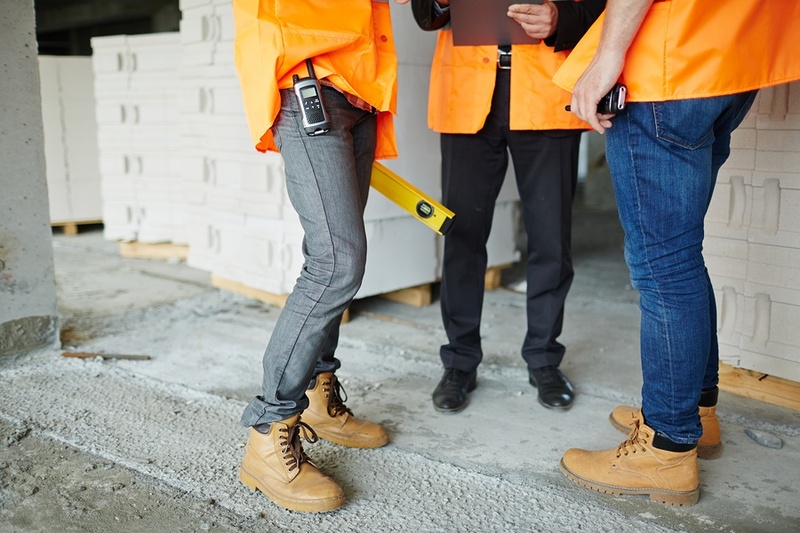 Like any technology, experts need to learn about the positive and negative impacts of exoskeletons and address them before introducing new devices into the workplace. However, recent studies have emerged and begun to shed some light on the impacts. For example, in a study conducted by UC Berkeley and UC San Francisco, the wearing of an exoskeleton while stooping caused a significant reduction in spinal muscle usage. By reducing the muscle usage, the exoskeleton helped eliminate the strain put on the back, which can reduce fatigue and possibly prevent an injury. For example, a traditional ergonomic assessment might include measurements like the distance between the worker and an object that is being lifted, the weight of that object, how many times per minute a worker will be lifting the object, and the length of a worker’s shift. This information provides invaluable data in terms of traditional ergo-assessments, but it’s not so useful when thinking about exoskeletons and their proper application in the workplace. To understand if an exoskeleton is impacting a worker and how it’s impacting a worker, Marino needs comparison data: most importantly, the amount of effort expended without wearing an exoskeleton and the amount expended while wearing it. Wearable sensors are just what they sound like: a sensor that can be worn either as a garment, like a shirt that is loaded with sensors, or as a separate tool that can be strapped onto an individual. Wearable sensor technology is the best way to evaluate the benefits of exoskeletons in the field because they are fairly accurate, unobtrusive, and provide a wealth of in-depth data for analysis. They can provide the A/B comparison data that will be pivotal in determining the appropriate application of exoskeletons in the workplace. “One of the things I’m looking for with wearable assistive technology,” Marino says, “is data like VO2—an indicator of using more or less energy with or without the device.” In addition to information about metabolic costs to the user, wearable sensors can also collect data on a device’s effects on the user’s posture. “With these sensors, we can collect dynamic data and then use that data to quantify the changes in the way the person is moving with and without the device,” he says. Wearable sensors are important to the improvement of exoskeleton technology, which has remarkable applications in the risk management and worker health sphere. Thus, these sensors are also incredibly important to the growth and development of this industry. Wearable sensors will allow for the expanded use of exoskeleton devices, which could mean a happier, healthier, more productive workforce. The implication of this data for the overall ergonomics industry goes far beyond the realm of exoskeleton technology. Wearable sensors aren’t only suitable for measuring the potential benefits and drawbacks of exoskeleton devices, they can be used to measure the effectiveness of nearly any ergonomics solution, both new and old. Information is power and wearable sensors provide professionals with a wealth of new information that they can use to improve worker health solutions. But the introduction of exoskeleton and wearable sensor technology doesn’t mean that more traditional methods of measuring and protecting worker’s health should be abandoned. There is a lot to still be learned about exoskeleton technology and how it impacts workers, both in positive and negative ways. Wearable sensors are important to workplace health and safety because they can provide experts with tangible data, not only about exoskeletons and their applications for return-to-work and injury prevention, but also about a variety of other worker health solutions. Embracing exoskeleton and wearable sensor technology can mean a reduction in employee injuries and worker fatigue, which then correlates to a reduction in worker’s compensation costs and absenteeism. We offer technical consulting services around the testing and implementation of exoskeleton and wearable sensor technology in your work environment. Your organization will then have data and an understanding of where and how these devices can be used. Whether you are looking to evaluate what employee tasks would best benefit from the use of exoskeletons, or analyze which type of exoskeleton will most reduce employee fatigue, we can provide you with the data your company needs to make the best strategic decision. To learn more our technical consulting services, contact us today to discuss your specific needs.